(Note: this post is from 11/4… publication was delayed due to internet troubles). 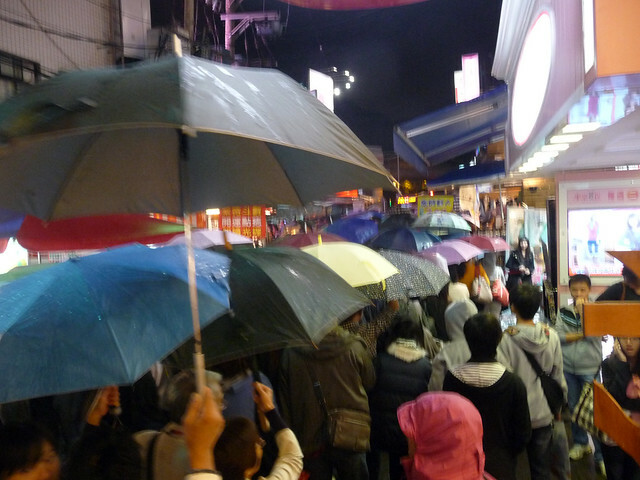 Marisa and I arrived in Taipei eight days ago, and are leaving two days later than planned. I'll admit that one of those extra days was due to wisdom tooth complications and a resulting trip to the dentist… but as for the other day, well, we just didn't want to leave. Taipei is colorful and vibrant, and every day here has been a kaleidoscope of sights and sounds and smells and tastes and feelings. 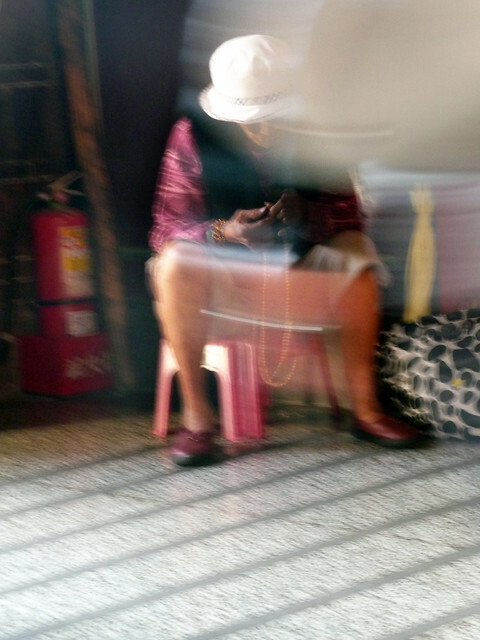 Spending anything less than a month in a city like Taipei—with its combination of dense population, fascinating history, and unique political situation—could be seen as futile.What can anyone possibly learn or pick up or take away in such a short amount of time? Of course, that's the question that hounds this whole trip, and every trip for every traveler… so I'm glad to have launched into this endeavor with a large city: biting off what is obviously so much more than can be chewed forces me to step back, and let go; to regain perspective, and try and come to grips with what journeying is about, for me. Which is not to know everything, or see everything, or understand everything; but to see some things, to try to understand some things. 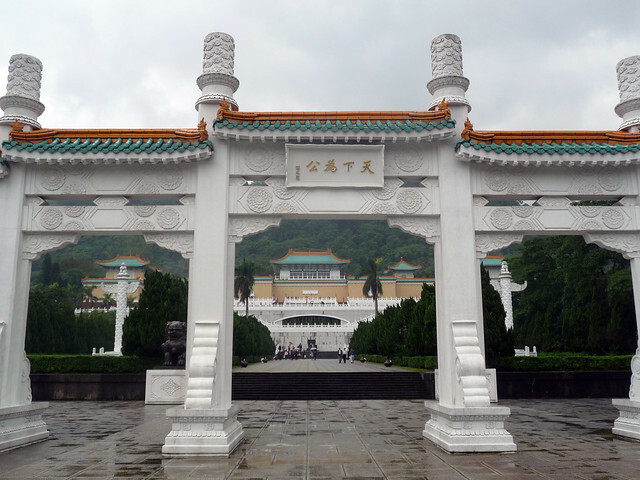 It's about finding myself in the National Palace Museum surrounded by the largest collection of mainland Chinese artifacts in the world (far more than can be displayed at any one time; the displays are on constant rotation), and reading a sign that says they were "transported here by the government"… and trying to comprehend what that means. The sign does not say the Chinese government, because Taiwan is creating, is searching for—has created, has found—its own identity apart from China; but neither does the sign say the Taiwanese government, because the artifacts were in fact brought to Taiwan by the very Chinese KMT, even if that group has since been absorbed into the Taiwanese nation. Neither does the sign explain why the artifacts were transported, or hint that they might be seen as stolen, or repatriated—though Beijing constantly hollers accusations from across the straight (despite Mao's Cultural Revolution, which likely would have seen most of NPM's treasures destroyed). We are left with, simply, "transported" by "the government." It's about turning from that sign, with all of its underlying political nuance, to examine a jadeite cabbage, crafted during the Qing dynasty, that's stunning in its beauty and its creativity—the way the artist used imperfections in a piece of jade that might have been tossed out as useless, to complement and even enhance his vision: craft meets form and function in a brilliant display that I can appreciate a century later. It's about leaving that museum, and walking for hours through night markets that overwhelm my senses with distilled life energy. Feeling people at the ends of all my limbs; smelling dripping fats and dripping sugars at the ends of all my nostrils; tasting things and separating the flavors out a little—green onions wrapped in barbecued pork strips, sugar donuts hot out of oil, corn roasted in a spicy sauce—before everything merges back into a primordial sea of smells and desires. A puppy looks out at me from under the arm of someone who's just purchased it. It's about noticing Kimchi in the market, and seeing Korean flags advertise Korean restaurants, and wondering if I ever would have noticed those things two years ago, before living in Korea. Wondering how many times I walked by Kimchi in my life without recognizing what it was; realizing that that will never happen again. It's about getting lost on a street, pulling out a map of Taipei, and instantly having a passerby stop and ask with a smile, "Can I help you? Are you lost?" How to explain that I am, but I'm not? It's about riding a gondola out of the city, to the hills of Maokong, where I sit and drink locally grown mountain tea in the shop of a woman with kinds eyes who offers a discount and tries to communicate with me in broken English and sign language. All I can give in return is "che che", and a bow, and a smile; somehow it feels like enough. 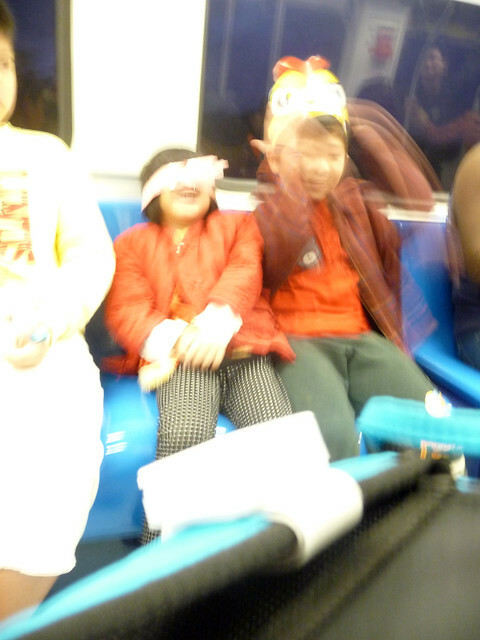 It's about going back to the city again, riding the metro, and playing an elaborate game of sign language with a boy across the way who's hat reads "YoYo King"; his mother smiles from where she's standing by the door. What game are we playing? Only the other one knows. It's about exiting the metro and finding a temple that was built three hundred years before the metro was dreamed of, and is just as alive and active as ever, with people from all walks of life worshipping Buddhist, Taoist, and folk deities all together. Incense burns, wax melts, sweat drops on stones that once served as ballast on immigrant ships coming from Fujian Province in China. I touch the stones; they feel old. I watch a woman in a corner bowed over prayer beads, whose hands never stop moving; she's there when I come in, and there when I leave, two hours later. She was probably there before I was born. 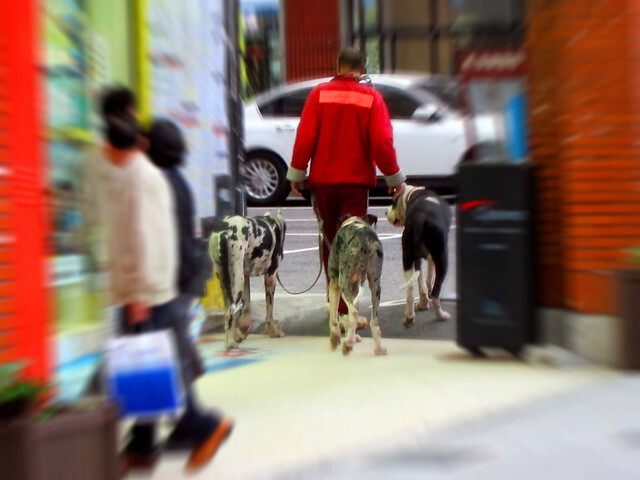 It's about leaving that temple and seeing a man with three Great Danes, just walking down the street as if he were normal. Three Great Danes. It's about finding the river, and walking for hours as the sun drops low over a city that feels far away across marshland… but really the city surrounds me. Watching bikers come and go; boys playing baseball under a bridge. It's about joining Beitou locals in their daily or weekly visit to one of Taiwan's many hot springs (supposedly one of the primary reasons Japan lusted after the island)… letting the sweat evaporate and the miles of walking fade, as I descend into the water, lean my head back to watch Taiwanese clouds turn into Taiwanese sunset… then look down to notice a young girl smiling at me from across the pool. Isn't this great? her eyes say. Yes it is, I return, with my smile. 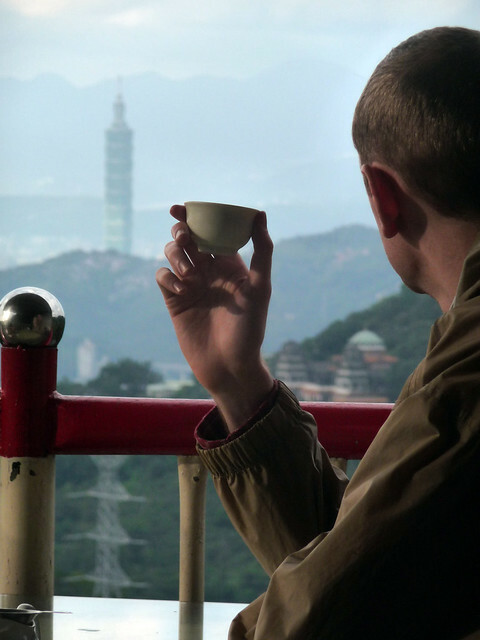 Yes, Taipei has been great, and I would like to stay longer. But I also want to get out. Because large cities, as interesting and exciting as they can be, tend to take on a life of their own, tied to but separate from the countries that contain them. I want to see more of Taiwan, as it was before Taipei, and is outside of Taipei. So tomorrow we leave the city behind for a trek down the country's east coast, the last region to be subdued by Taiwan's former colonizers, and the least developed region to this day. Posted by Trekker on Mar 24th, 2011 at 8:56 am. Posted by Jordan Magnuson on Mar 24th, 2011 at 10:49 am.